Fungal toenails can be difficult to treat, requiring special care from a podiatrist experienced in destroying the fungus in the deeper layers of tissue. 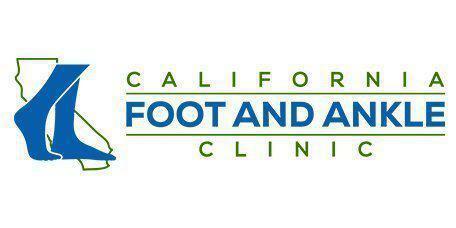 Dr. Sahand Golshan is a top provider of toenail fungus treatment in Riverside, CA, providing customized, effective care for patients at California Foot and Ankle. Fungal toenails are caused by a tiny fungus called a dermatophyte that enters the nail bed through any tiny opening, including a small cut, scrape or blister. Once under the nail, the fungus is protected and begins to grow, supported by the warm, damp environment provided by socks and shoes. Fungal toenails can occur in anyone, but they're more common among those with circulation problems, compromised immune systems and people with a family history of toenail fungal infections. The fungus that causes infections is found primarily in warm, damp environments like public locker rooms and showers, hot tubs, and public pools, and going barefoot in these areas can increase the risk of developing an infection. In most people, the first sign of toenail fungus is a discoloration of the nail, which often becomes whitish or yellowish. Without treatment, the nail will become brittle and ragged, and eventually, the entire area will become painful and tender to the touch. Painful symptoms are worse when wearing shoes. Over time, the fungus will become rooted in the deeper layers of tissue, making the infection more difficult to treat. Toenail fungal infections can be notoriously difficult to treat, especially in their advanced stages or when they occur in people with diminished circulation. Although there are dozens of over-the-counter products that claim to “cure” toenail fungal infections, effective treatment and eradication of the fungus requires professional care. In most cases, toenail fungal infections can be treated with prescription-strength topical medications sometimes combined with oral medications to treat the infections “from the inside.” When the infection is especially deep, the nail may need to be removed to allow the medication to penetrate into the area where the fungus is rooted. Nail removal can be performed in the office using a local anesthetic to numb the toe and prevent pain. Advanced toenail fungal infections can be stubborn, sometimes taking months to completely destroy the fungus so it can't regrow.